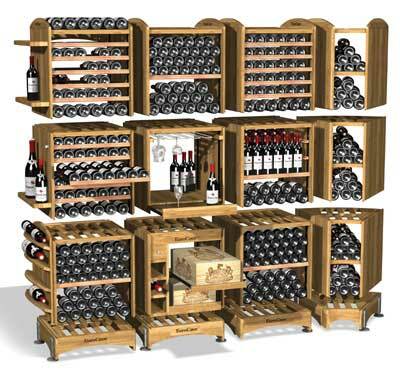 EuroCave has created Modulotheque, an exclusive concept in solid oak, the perfect modular storage and display system for your wine. The Modulotheque allows you to make maximum use of whatever space you have and to look after your wine and to make a prestigious and personalised piece of furniture that will evolve with your needs. Easy to assemble, configure and install, the modules of the Modulotheque allow you unlimited arrangement options. 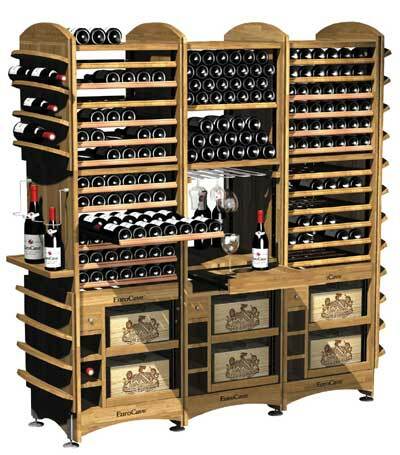 The various modules making up the "Modulotheque" are specially designed to take shelves from the "Classic" range of wine cabinets. 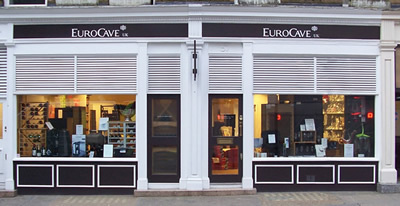 This system for which EuroCave is rightly famous enables you to choose the arrangement best suited to your wine and the storage space available. Please contact us for further information and a brochure to help you plan how the Modulotheque can be configured for your space.